You are currently browsing the Carpe DMM blog archives for June, 2012. So, the Sydney Symphony Orchestra welcomes David Robertson as its new Chief Conductor and Artistic Director beginning in 2014 after our current director, Vladimir Ashkenazy, ends his term next year. I’d not heard of Robertson before, but he’s an American and currently directing the Saint Louis Symphony Orchestra. I haven’t attended a lot of concerts during the directorship of Ashkenazy and before him Gianluigi Gelmetti, but the wife and I now have subscription tickets to concerts this year and I’m looking forward to renewing my regular concert-going. Before Gelmetti, I became very familiar with Edo de Waart, who held the reins for ten years. But I’ll never forget his predecessor, the inimitable Stuart Challender. Only in Australia. I’m hoping David Robertson gets to experience the exuberant enthusiasm of Sydney audiences in a similar way during his tenure. So I’ve been going to this same barber for the past 16 years. 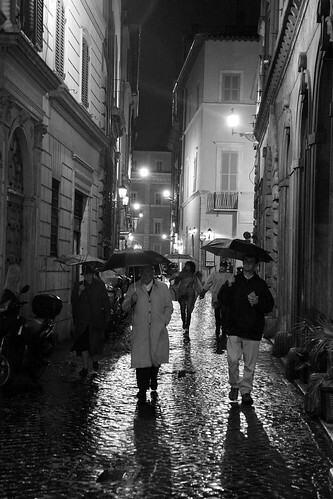 He’s an old Sicilian guy named Frank; he has postcards of Italy pinned up on the wall, you know the sort of place. When I first went to him he ran a tiny cubicle in the middle of a small arcade, with a single chair in it, a bench with waiting room for two customers, and a sign saying “No seats reserved”. The first time I went in there, I sort of fumbled through a description of how I wanted my hair cut, having never really figured out the language that barbers use or what all those “number 2 blade” secret passwords meant. Frank cut my hair and it seemed fine to me. Afterwards, whenever I went in Frank would ask, “The usual?” and I’d just say, “Yes thanks,” and he’d cut it. A few years later, his son joined him in the business, and “Frank’s Hairdressing” became “Frank & Michael’s”. They added a second chair to the cubicle, but it became too cramped to move about in properly. So they took up a lease on one of the small shops in the same arcade, and moved the business a total of about 5 metres into (slightly) larger premises. And in fact they installed a third chair. The first time Michael cut my hair, Frank instructed him on how I wanted it cut, and I didn’t have to say anything. At peak times, such as Saturday mornings, when the queue got long (the bench in the new place seated three customers, but there were occasionally guys queued up standing outside), Frank and Michael employed a third barber to come in and use the extra chair. But I tended to go get my hair cut at other times, mainly to avoid the waiting. But also because I dreaded the thought of getting the new guy and having to explain to him how I wanted my hair cut. Because I couldn’t. I didn’t know the language or what to say to pass on that vital information. A few times I went in and they had the extra guy there, but fervent hope was enough to land me a seat with Frank or Michael, and it was simply “the usual”. The third barber changed over time too – it was the same guy for a while, then it was some other guy, and then a bit later someone else. They always seemed to be about Frank’s age – I presume they were family friends or something. Once I got the new guy, and as I sat down, Frank looked over and without prompting described to him how I wanted my hair cut. The guy did it, and it was fine. The next time I got the same guy, and – phew – he remembered and cut my hair right. I panicked. A cold sweat broke out. I looked desperately around for Frank or Michael, but they were both engrossed in their current customers, backs turned to me. I tried to describe what Frank and Michael did, fumbling for words: “Sort of short, I guess, but not too short, you know, with those clipper things at the back, and sort of cut around the ears, and…” I must have rambled incoherently for a minute or so. The guy took up his implements and proceeded to give me the strangest haircut I’ve had in sixteen years. It was all sort of wrong, and looked funny, and was too short in the wrong places, and weirdly long in others. I let it grow out, this weird haircut, and when I went back the next time I got Frank and he said, “The usual?” and I breathed a sweet sigh of relief, and said, “Yes, thanks.” And he cut it beautifully. Then I went on my recent trip overseas and when I came home it was almost time for a haircut again. I went in last Friday afternoon, and there was a new guy I’d never seen before in there, working the seat between Frank and Michael. The sweat started to rise as I waited on the bench, realising that it was my turn next, and Frank and Michael looked like they’d recently started their current customers, but the new guy was just finishing up with his. And lo came the dreaded, “Next!” and I found myself in the barbershop hotseat, with the new guy, and me having never adequately described my own haircut in over sixteen years, quivering with fear like a doe in the headlights. The words, “How would you like it?” rang out like a gunshot in the night. Frank turned towards us, said to the new guy, “Short medium.” And the new guy nodded and proceeded to cut my hair with no further instruction, and it came out perfect – exactly the way Frank would have done it. So after spending four weeks offline while overseas, I recently caught up on Magic: The Gathering articles over on Daily MTG. The only regular column articles I really read thoroughly are Mark Rosewater’s Making Magic (an absolutely essential read for anyone even vaguely interested in game design of any sort) and what I still like to think of as Matt Cavotta’s Taste the Magic (despite the lamentable fact that Matt gave up the mantle of author to Doug Beyer way back in 2007, accompanied by a name change of the column to Savor the Flavor; not that I have anything against Beyer – he’s a great writer too – but I miss Cavotta). And so it came as a shock to me when I noticed that the archive of Savor the Flavor ended on the 28th of March this year. Doug wrote a farewell column, stating that he was moving on to other jobs within Wizards of the Coast which didn’t give him time to wrote Savor the Flavor any more, and that Wizards hadn’t been able to come up with a suitable replacement writer for the column. Of course, this is (almost) completely impractical. I’d have to be given the job by Wizards of the Coast (hmmm, I could live with that). I’d have to be given privy information on upcoming set design (I guess I could live with that). I’d have to write a weekly column on Magic: The Gathering back-story, world design, mythology, art direction, flavour text, and so on, to a strict deadline (I could definitely live with that). Realistically the main obstacle is that Wizards doesn’t know me from a bucket of slime. This is not to lament my lack of opportunity, but rather to marvel at the fact that my subconscious put me up for the job without any active thought on my part. Actually thinking about it and analysing the idea, I honestly think I could do the job well, but the inner workings of my brain actually realised that before I even had time to give it serious conscious thought. That’s pretty cool. But, the coolness of my own mysterious subconscious aside, this is (was) a sad day for me, and for everyone else who loves a bit of flavour in their Magic. I just hope Wizards finds a replacement author for the column sooner rather than later. The wider world of Magic will be the poorer in the meantime for not having a dedicated outlet for giving players detailed access to the world, story, and art design of the game. One of the weird things we noticed when we were in Rome a few weeks ago, especially around the Vatican, is all of the souvenir postcards of the Pope. Now postcards of the Pope in the souvenir shops around the Vatican is in itself not weird. The amusing thing was which Pope. Every single postcard we saw with a Pope on it had a photo of John Paul II. 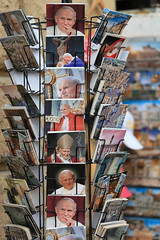 We didn’t see a single postcard with an image of Benedict XVI. Good to see the Italians don’t hold a grudge.